The all-new Fusion 224 Valkyrie is optimized for peak ballistic performance in modern sporting rifles. The 90 grain 224 Valkyrie extends range, offering devastating accuracy and terminal performance on medium game with less recoil of cartridges with similar ballistics. Can you place a 224 Valkyrie upper on a standard multi-cal lower? Yes, as long as the upper has the 224 Valkyre bolt carrier. You'll also need a 6.8SPC mag which will fit in the AR15 lower. Any AR 15 5.56 lower will work. The upper and and different mag is your main difference. Will fit any ar 15 lower,where you may have a problem is feeding out of cheaper 6.8 mags. I use good mags and have now problems. Yes you can. You just have to make sure you have the right bolt carrier group and use 6.8 SPC magazines. Yes. Any standard AR15 multi-cal lower should work. Yes but you have to run a 6.8spc bolt and mag. Yes. Requires 6.8 spc ar15 magazine. Yes, but you need the 6.8 mag. THERE WERE ISSUES WITH THE FIRST RUNS OF THIS AMMO NOT GROUPING WELL,ARE THESE THE LATEST RUNS OR WERE THESES LEFTOVER FROM THE FIRST BATCHES MADE? BEST ANSWER: With the fusion line of ammo I have had no issues. I am getting sub minute groups at 200 yards consistently with my PSA upper. 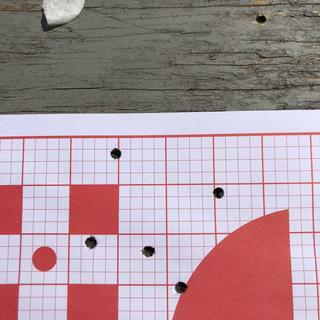 With the 60 ballistic tip ammo from Federal it is holding a 1” group at 100 yards. All I have purchased and fired grouped well! Did not group well at all for me. Very impressed with the stopping power of this little round. It work really well, constant, accurate, re-loadable what else could you ask for. Works great can’t wait to order more. Can't beat the sale price plus rebate! Seems to work fine. I'm okay with it. Great ammo. Good groups and great for pigs with the 90 gr bullet. Told friends about the price but they waited and the special was sold out. I haven't tried this ammo yet but I couldn't beat the price after the rebate. 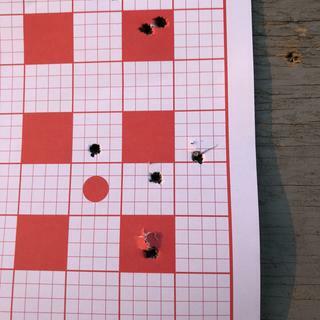 1/2” - 4 shot group at 100 yds out of a PSA 224 Valkyrie! Very good batch. Much more accurate than the initial offerings Can shoot 3 shot cloverleaf groups. Great round ,Great price,Great service .Cant ask for much more. I absolutely would recommend this ammo and this deal to anyone that shoots .224 VALKYRIE, I have bought the 75 gr.also at another great price point ,i also bought my barrel and bolt carrier, all of which are great deals on quality products this caliber brings the ar platform awesome capability ,and this company gets it there at an affordable working mans price ,thank you Palmetto! Best bang for my buck! Ha Ha, pun intended. It all went BANG! used for break in then shot for groups, Grouped as well as to be expected in a 1/7 twist barrel. it was 1 1/4" at 100 yards. What a round this is! These 90 grain 224 Valkyrie rounds are great - give them a try in your rig. Great round and can’t beat rebate prices! So far this ammo has impressed me. It’s sub MOA @ 100yd with my properly conditioned 1/7 18” PSA barrel. I have heard concerns from some regarding weights and stabilization at extended range. I can only speak to ~600yds where this has remained accurate. Even more, I wish I could’ve grabbed more at the rebate prices. Glad you asked. I shot federal 90gr sp, 90gr smk. 60gr nosler ballistic tip varmint all with not so good results. Dont know if its PSA upper, ammo, bad day. But shot 3/4inch 1inch MOA with RRA upper with Fiocchi 223 69gr matchking HPBT . So i will use my RRA upper on song dogs. At 400 yards an under I know the results dog down. On sale,free shipping and factory rebate this deal can't be beat. Thanks PSA! This is a Christmas gift, so its still in the box. But, what a great price. Got these with a PSA 224V 20 inch 1-7 upper. They shoot 2.5 inch groups at 100 yards in the PSA 1-7 upper. We do apologize for that. All of our .224 Val uppers come with a 1.5MOA guarantee. Please contact Customer Service so we may resolve this issue. Very good ammo! 1” group at 100 yds.